tables into pretty conversation pieces. 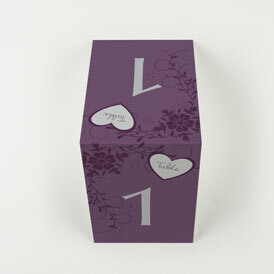 Simple and elegant, this large folded size is sophisticated, easy to read, and easy to set up! Pretty and petite, this style works great for smaller venues. Prop up and display, or clip them to holders. Stylish flat designs that can be clipped to table number holders to maximize table space and visibility. Love everything about these table numbers. They will match perfect with our theme and they are very high quality. Of course there are always concerns purchasing over the net, but I would use MagnetStreet for all my paper good needs.....I am going to place an order for our programs shortly. I received these table numbers in the mail a few days ago. They are more than I could have hoped for! I love how they are double sided and the quality is great! Wedding signage is essential when it comes to your reception! It maintains organization and allows your guests to easily find their table. 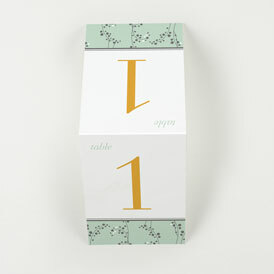 More than a just a number, Table Number Cards open the door to a lot of creativity and fun. Personalize the colors of the number and design to match your unique wedding palette. 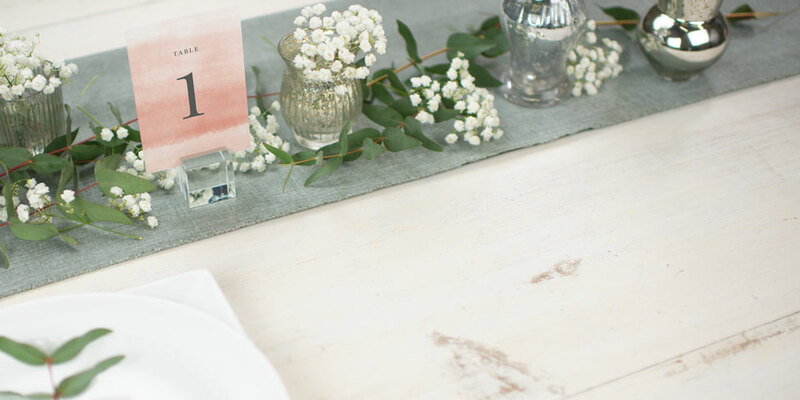 Whether you're having a rustic barn reception or an elegant golf course celebration, shop a variety of Wedding Table Numbers for a perfect piece that fits your venue and décor. Wedding Table Number Cards are available in 3 sizes: small tent size, large tent size, and if you're looking for table drama—a large flat card style. 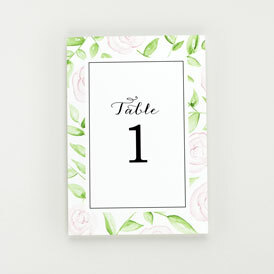 Every Table Number design comes in coordinating Place Cards, Favor Tags, and other Reception Items. As always with our wedding stationery—every Table Number design can be personalized with your colors and unique wording such as your names, address, or other special sentiments.